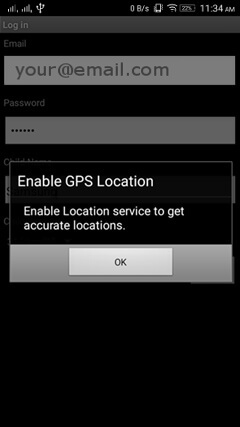 How to Install TiSPY in Android device? 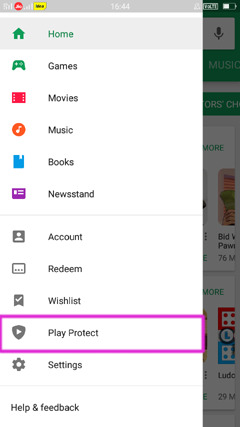 2.1 Disable Google Play Protect. 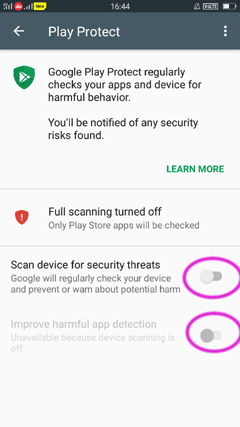 Disable "Scan device for security threats"
2.3 Download and Install "TiSPY Client". 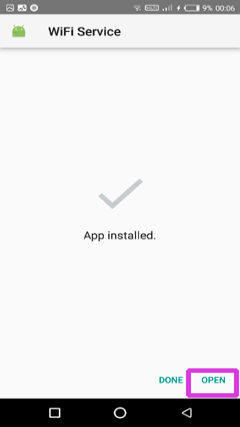 Tap on the downloaded APK to trigger installation. 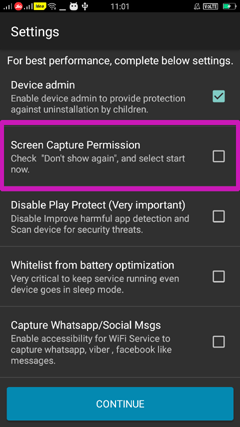 Follow screenshots below to complete installation. 3.1 Terms and Access permission. 3.1.1 Read and agree to EULA. Read End User License Agreement and accept it if you agree. 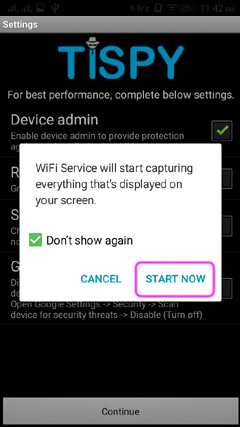 During installation TiSPY will prompt to activate “Administrator rights”. 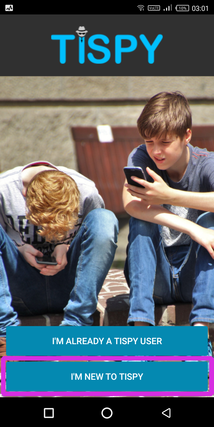 Selecting it will allow features like Lock Device Screen, Set Lock-Screen Password, Disable Camera to function. 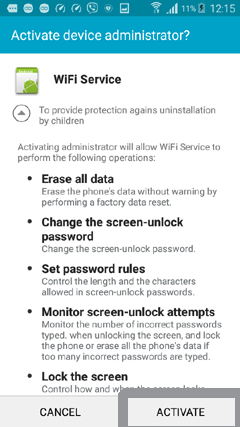 It will also protect against uninstallation. 3.2 Create / Register Account. 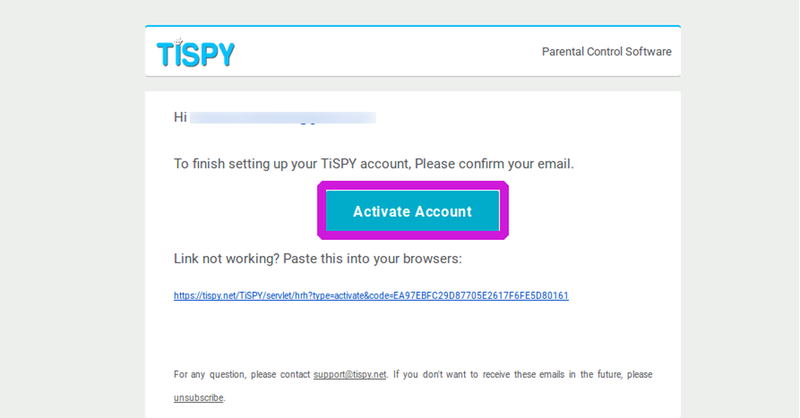 If you have already account with TiSPY then user “Already a TiSPY user” option. 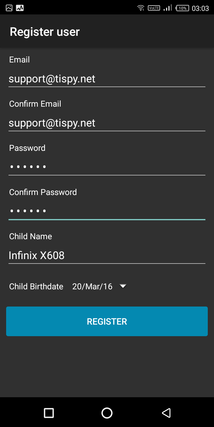 3.2.2 Create new account with TiSPY user. If you want to create user then use “I’m new to TiSPY” option. 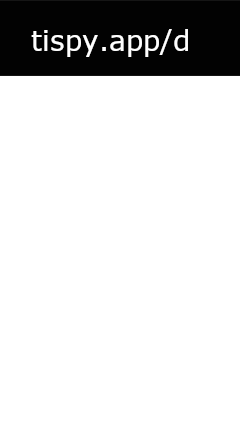 Enter valid information, like email address. 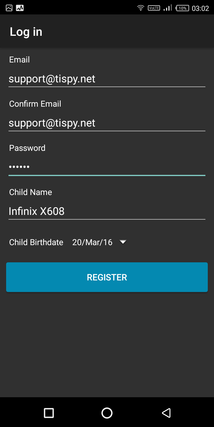 Click on “Registered For TiSPY”. You should get verification email in email inbox. 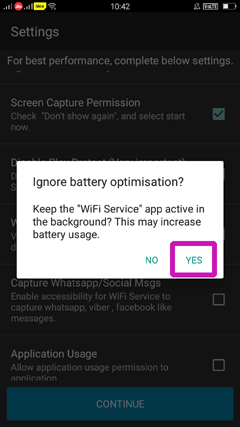 Disable Notification for "WiFi Service" application. 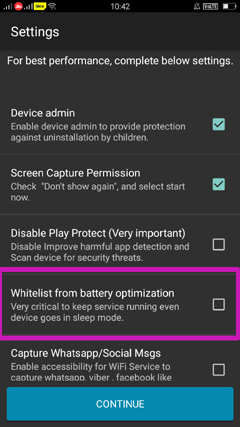 Settings >> Device maintenance >> Battery >> (bottom) Click on Unmonitored apps >> Add apps >> Select "WiFi Service". 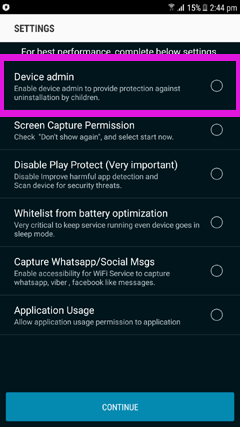 Go to Settings >> Lockscreen & Security >> App Permission Monitor >> Disable "WiFi Service". 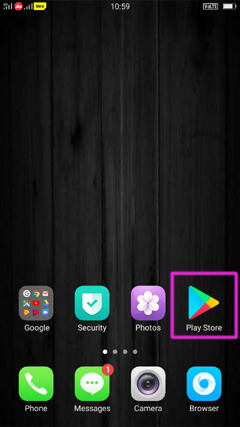 Phone Manager >> Power saving >> Protected apps. 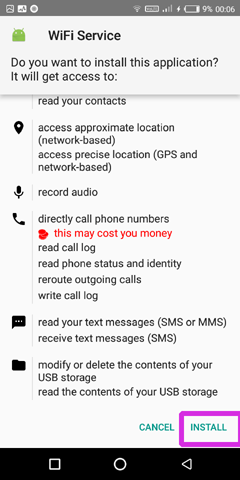 Make sure "WiFi Service" is protected. 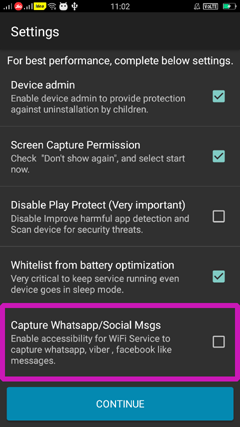 Open Application "Security" >> Go to Permission >> AutoStart >> Enable "WiFi Service". 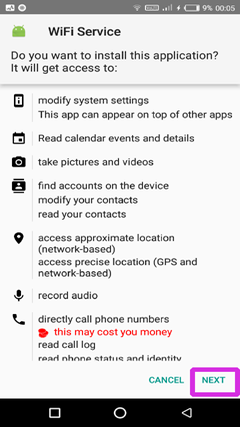 Go to Settings >> Additional Settings >> Privacy >> Disable "Verify apps". 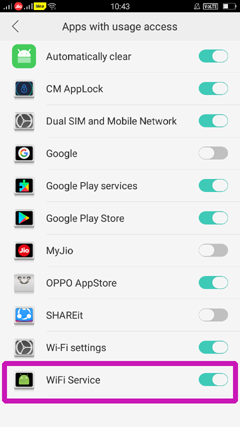 Open autostart application and enable "WiFi Service". 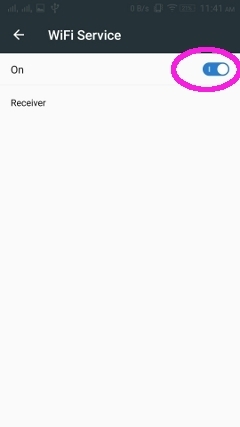 Open IManager application and enable "WiFi Service". 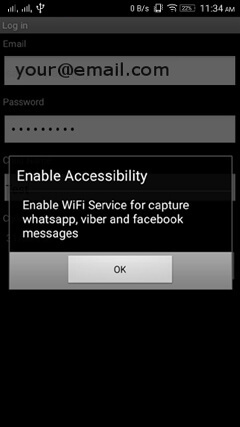 Open Application "XOS family" >> X Manager >> Auto-Start Manager >> Enable "WiFi Service". 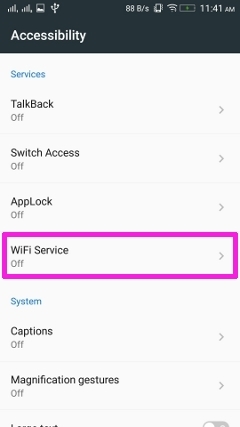 Make sure "WiFi Service" is protected.. 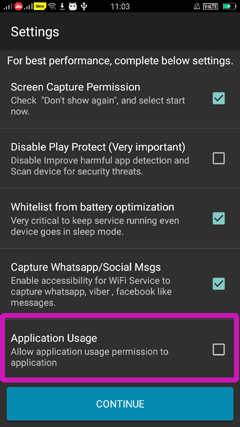 Phone Master >> Toolbox >> Auto-start management >> Enable "WiFi Service". 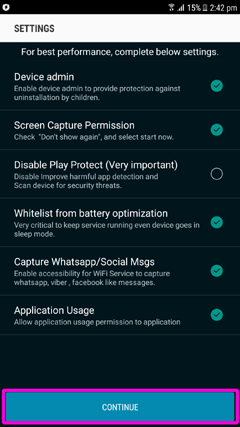 Phone Master >> Me >> Settings >> Protected app >> Enable "WiFi Service"
Open "Settings" >> "Security Settings". 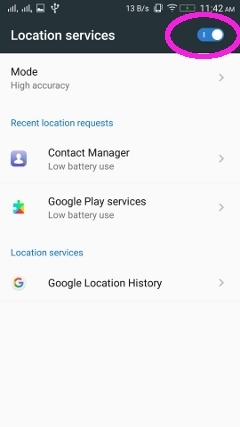 Click on "Add apps that run in background" and select "WiFi Service".